With star forward Ryan Kelly given the day off to rest after games on Wednesday and Saturday, the Sunrockers Shibuya relied on the contributions of Faye Samba and Markhuri Sanders-Frison to fill the void on Sunday afternoon. Sure, Sunrockers coach Tsutomu Isa’s team could have used Kelly’s all-around talents, including his scoring prowess (a team-leading 19.7 points per game) in its rematch against the visiting Akita Northern Happinets. But Shibuya utilized an effective combination of hustle, timely baskets and solid defense to beat Akita 69-62. The Sunrockers (18-20) got a team-high 20 points from former Los Angeles Lakers center Robert Sacre and 17 from elusive guard Leo Vendrame, including seven in the fourth quarter, at Aoyama Gakuin University Memorial Hall. Reserve forward Faye made a big impact off the bench with 10 points, four rebounds and a block in 17-plus minutes and Sanders-Frison, a University of California alum, appeared in his first regular-season game back from injury and contributed six points and seven boards in almost 21 minutes. Indeed, he hadn’t play since a Sept. 9 preseason game. Both teams had alternating stretches of solid play in the first three quarters. The Northern Happinets, who opened the game with an 8-0 run, led 14-13 after the first quarter, then trailed 33-32 at halftime. The first half ended in exciting fashion for the home fans, who witnessed 21-year-old Sunrockers shooting guard Kaito Morizane, who was appearing in his seventh game, can a buzzer-beating 3-pointer from the left wing. By halftime, Akita’s Justin Keenan led all scorers with 16 points and Sacre had 10. But Happinets coach Josep “Pep” Claros’ club regained its offensive form in the third quarter, outscoring the hosts 25-17. Akita’s offense fell apart in the fourth quarter, however, when it made just 1 of 13 field goals and scored only five points. “But obviously offensively, too, (at times) we didn’t find the right shot, the right pass,” he added, discussing the team’s offensive shortcomings. Isa’s astute substitutions also become vivid as the second half progressed, with several players in waves coming off the bench and making an instant impact. 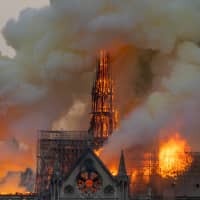 For instance, Faye scored on a putback to give Shibuya a 48-44 lead near the four-minute mark of the third, then blocked a layup attempt second later at the other end of the court. In the fourth, Keenan put the visitors ahead 61-57 on two free throws with 6:07 remaining. Sacre answered with a turnaround jumper from the left side to cut it to two, with passes from Morihisa Yamauchi to Vendrame to Sacre producing good spacing for the starting center to operate in the low post. Yamauchi missed a potential tying basket on Shibuya’s next possession, then secured positioning and scored on a tip-in. Vendrame added a floater in the lane to make it 63-61. A Sanders-Frison putback added to the lead and Sacre sank another baseline jumper to stretch it to 67-61. Akita (13-25) never regained momentum. Justin Keenan paced the visitors with 24 points, including four 3s, and pulled down 10 rebounds. Kadeem Coleby had nine points and 10 boards and Takuya Nakayama, Daichi Shimoyama and Masahiro Narita scored six apiece. Looking back on the game, Vendrame said teammates’ confidence in one another paid off. Morizane, who scored eight of his nine points in the second quarter, fired up his teammates, according to Vendrame, noting the 3 at the buzzer in the second quarter that ended with the youngster chest-bumping teammates before walking to the locker room. 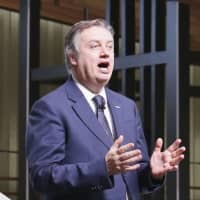 “We were confident and patient to make a comeback,” Vendrame said. Facing what he called the “most physical team” in the B. League first division, Isa praised his players for their tenacious defense. “It was good to give others a chance to play,” Isa added, addressing a question about Kelly’s day off. Faye embraced the opportunity to help lead the club in Kelly’s absence. A few key numbers: points in the paint (Shibuya 38, Akita 16) and points from turnovers (Shibuya 12, Akita 0). 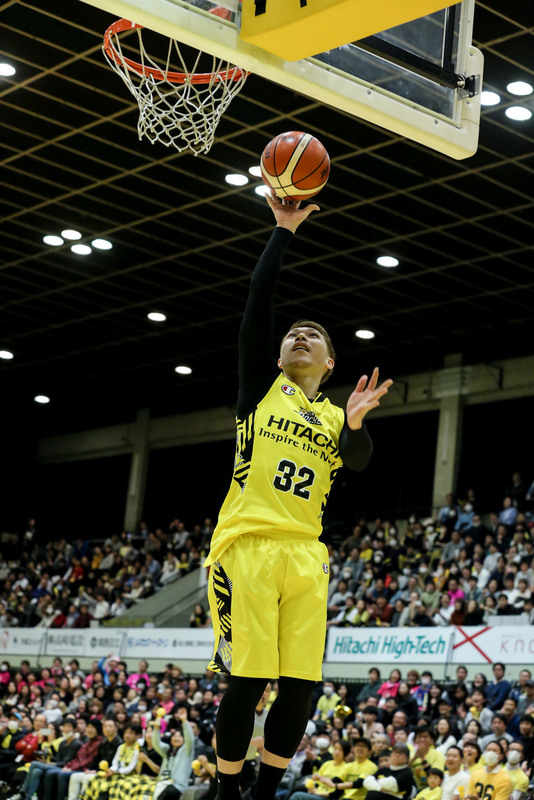 In Utsunomiya, Tochigi Prefecture, the Brex jumped to a 37-23 lead by halftime and stopped Chiba’s 14-game winning streak. Yusuke Endo sparked Tochigi (30-8) with 25 points, draining 5 of 7 3-point attempts. Teammate Ryan Rossiter had 21 points, 11 rebounds and five assists and Jeff Gibbs, another cornerstone of the team’s 2016-17 B. League championship squad, finished with 13 points and 10 boards. “Good win today fellas… way to bounce back,” Gibbs tweeted. For the Jets (32-6), Michael Parker scored 20 points and snared 12 rebounds, Yuki Togashi had 18 points and five assists and Gavin Edwards put 13 points on the board. 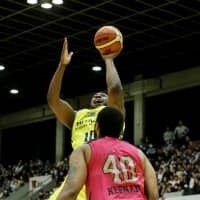 In Kyoto, big man David Simon scored 40 points on 19-for-31 shooting and corralled 12 rebounds as the Hannaryz edged Kawasaki for their fifth consecutive victory. Julian Mavunga orchestrated the Kyoto offense, scoring 23 points and dishing out seven assists and Yusuke Okada had 10 points, including two free throws with 40 seconds left to give the hosts an 88-83 lead. Buoyed by Simon’s stellar game, the Hannaryz (21-17) shot 58.3 percent from the field. Nick Fazekas led the Brave Thunders (22-16) with 23 points. Vernon Macklin chipped in with 16 points, 11 rebounds and five assists and Naoto Tsuji provided 20 points and five assists. Kawasaki hurt its cause at the foul line, making an inadequate 15 of 23. 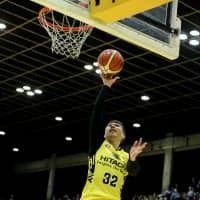 In Osaka, Josh Harrellson sank six 3-pointers in a 25-point performance to steer the Evessa past Mikawa, halting the hosts’ six-game losing streak. Former University of Minnesota power forward Trevor Mbakwe finished with 17 points, including a pair of dunks, and seven boards for the Evessa, who led 47-37 at halftime. Satoshi Nagano added 16 points and five assists and Naoya Kumagae contributed 14 points and seven helpers. “Great home win!” Mbakwe tweeted. Kosuke Kanamaru had a team-high 25 points for the SeaHorses (20-18) and J.R. Sakuragi nearly notched a triple-double with 23 points, 10 rebounds and nine assists. Isaac Butts collected 15 rebounds and Yuta Osaka had 11 points. 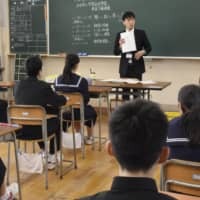 In Otsu, Shiga Prefecture, Hokkaido outscored the struggling hosts 27-8 in the opening stanza en route to a lopsided victory, its second win in as many days. David Doblas had 20 points and 10 boards for the Levanga (10-28) and Marc Trasolini scored 19 with eight rebounds. 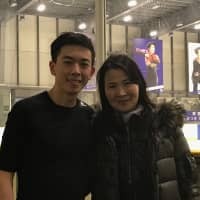 Asahi Tajima and Ryota Sakurai added 10 points apiece. Gani Lawal and Marqus Blakely each scored 17 points for the Lakestars (8-30) and Yusuke Karino had 10. In Nagaoka, Niigata Prefecture, the red-hot hosts got four double-digit scoring performances and rolled past Ryukyu for their ninth victory in 10 games, completing the weekend sweep in the process. Center Davante Gardner spearheaded the offensive attack with 24 points and eight assists. Lamont Hamilton poured in 19 points, Kei Igarashi scored 16 and Shinsuke Kashiwagi finished with 10 points and nine assists. Niigata (27-11) shot 57.9 percent from the floor. 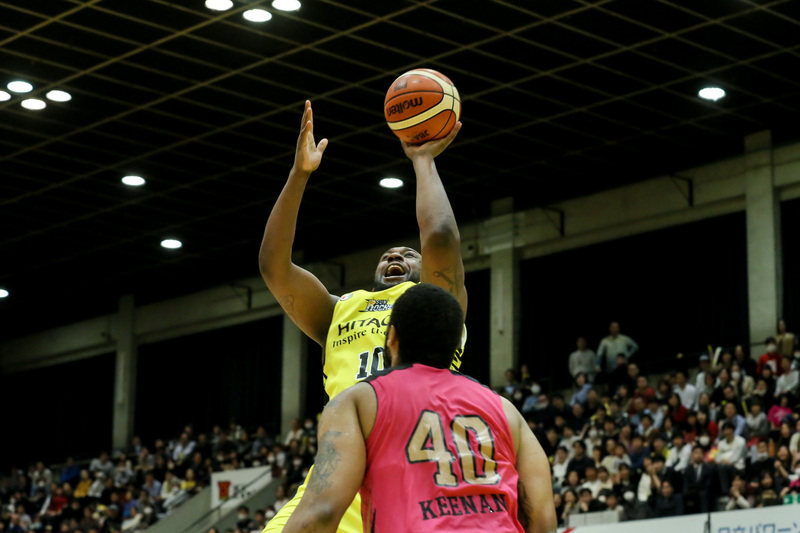 Kevin Jones paced the Golden Kings (24-14) with 30 points and Takatoshi Furukawa scored 22. Amanze Egekeze and Narito Namizato had 14 and 13 points, respectively, with Namizato also doling out 10 assists. Ryukyu dropped its fourth in a row. Ehime center Andrew Fitzgerald scored a league-record 58 points in the Orange Vikings’ road victory over the Hiroshima Dragonflies on Sunday. Playing all 40 minutes, Fitzgerald was 23 of 43 from the field and grabbed 19 rebounds. Earlier this season, the University of Oklahoma product had held the league scoring mark. He accomplished the feat on Dec. 16 with 55 points against the host Fukushima Firebonds. 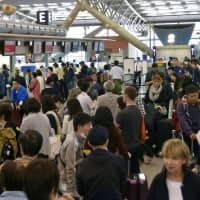 Exactly a week later, Gunma Crane Thunders star Thomas Kennedy dropped 57 points on the Hachioji Bee Trains to break the record.